A lot of people around my town, Westvillage, call me a hero. I just say it's something I had to do, I couldn't let it happen. I have never been the sort of person to big myself up and I would always say I’m just an average girl. Hi, I'm Samantha, otherwise known as Sammy, I'm a pretty normal looking girl with brown hair and blue eyes. I never really know what to say about myself to other people, but I guess I would class myself as a kind, caring person as I like to help others as best I can. I worked as a babysitter while I was in school. I would help anyone who needed me as it is quite a small town, so everyone pretty much knows everyone. However, it was mainly the Johnson’s little girl I looked after. Anyway, let me tell you the story about one of the times I babysat for the Johnsons. This little girl I'm talking about is named Lucy. Lucy is a bright young girl to say she is only five. Her parents were going out of town for 2 days and because we know each other well they trusted me to look after her for the full two days. Her parents were hard workers and had to go out on business trips all the time, so this two-day trip was also for business. They only like to travel when they must as they adore their little girl. Here is how the story began. It was a nice warm afternoon when I arrived at the Johnson’s house. The sky was clear blue but there was still a breeze blowing. The air was so fresh that it gave you that good feeling when breathing it in. I loved being outdoors as I like nature, I find that it calms me. Because I was in my car I had my window down and some music playing, as I began to reach the house I started to feel happy, I just loved being there. It was only a three-bedroomed house, but it was quite big. They had their own drive so that's where I parked my car every time I went over. I got out and I could smell the nice flowers they had planted; daisies, roses, sunflowers, and many more, they liked everything to look nice and presentable as that was the sort of people they were. After parking my car and making sure I had everything for the two days I got out my old car and I walked across the concrete drive on to the stoned walkway, which lead to their front door. When I reached the big white front door, I pressed the bell and waited for someone to answer. It was Mrs. Johnson who opened the door and led me inside, she was telling me how Lucy cleaned up the milk she had spilt on the floor without her asking and how she's been helping them get ready. Mrs. Johnson was always saying how great Lucy was and never had to tell her off for hardly anything, she was like the dream child you always wanted. The house always smelt so nice and refreshing and everything in the house had its own place. As we got to the modern styled living room, Lucy looked up at me from her tablet she was playing on. An instant smile came across her face and she jumped up to run and give me a hug. I looked after Lucy a lot and we would always go on adventures or even just sit together watching movies. Lucy was an easy child to look after and get along with, we clicked the minuet we met each other. Oh, how I loved looking after her, she had the sweetest smile and she was by for the prettiest child I have ever seen, with her nice, long, blonde hair and adorable blue eyes, she just looked like an angel. Her personality was always so bubbly and even when she was upset she would still try to be happy because that’s the sort of person she is. About half an hour after I got in and settled the Johnsons decided it was time to leave. They gave Lucy a kiss and a hug goodbye and handed her a mobile phone, so they can contact each other. They made it simple for her to use even though she probably didn't need it as she was so smart she knew what she was doing with a lot of technical objects. I know what you are thinking, why would a five-year-old have a phone, well Lucy was given strict instructions to answer it when one of them rang and the other was to call if there were any emergencies. Lucy being the good girl she is always listened to these rules and never broke her promise to follow them rules. They turned to me and gave me some money for anything we needed, said thanks and then they went. Me and Lucy waved them off at the front door as they drove off and then went in to the house and put the TV on trying to decide what we wanted to do for the time with had left. We both settled to watch a short cartoon that Lucy enjoyed watching. It was about two hours before tea time (which was around half 6-7ish), so we decided to go out to the park. We went around the house getting everything we needed such as first aid kit, spare clothes in case we mess the ones we had on up, and anything else we though were important and then we got in my car and I drove us to the park. It was only a 20 minute drive away so it didn’t take us that long to get there. It was extraordinary, filled with different trees, flowers, and other plants. It was quite a big place filled with lots of things to do. In the middle of the park there was a playground, filled with swings, slides, and lots of other playground activities, and that’s where me and Lucy went. We must have spent about an hour at the park and then Lucy got hungry, so we decided to head back and start making tea together. This is always something we did as Lucy loved to help me make tea. We started rooting through the freezer, fridge, and cupboards until we settled on what we wanted to eat. We both decided that we wanted Spaghetti Bolognese and meatballs with grated cheese on top and some garlic bread to dip into the sauce. We also decided to make a chocolate cake, so we could have some tomorrow as well as after our tea. It was both of our favourites and because we made it so much we basically became professional chocolate cake makers. We spent 30-40 minutes making the food. The Johnsons had a medium sized dining room. We sat in there and ate our food at the table which is near a large window. Where I sat I could see out of the window, the view was fascinating to me, so I always sat there so I could glance out the window every now and then. I finished my food first, then Lucy finished hers a couple of minutes after. As I stood up to take our plates away I took a quick look out the window, so I could have one little look at the stunning scenery before I left it behind, but as I did I thought I saw someone move near the window out of my view, so I set the plates back down on the table and walked over and looked around. There was no one to be seen so I let it go over my head as I thought I was just imagining it and carried on with what I was doing. In the kitchen, me and Lucy ended up having a water fight because Lucy splashed me, so I splashed her back and then it went from there, so I had to spend another twenty minutes cleaning it all up with her as well as doing the rest of the washing up that was left. By the time we were finished, it had gotten to about 7 and Lucy was ready for settling down. She always must be settled before she goes to bed otherwise she doesn’t fall asleep easily and ends up having a restless night. So, we went into the living room and turned the TV on again and put an animated movie on. By the time the movie finished it got to about half eight, nearly nine o'clock. So, me and Lucy went upstairs, and she asked me to sleep in her room, so we could have a sleepover and I agreed as it is something we have always done. I read her a bedtime story and then while she was in bed asleep I got a quilt and some pillows and put them on the floor in Lucy’s room. I then went to get sorted and ready for bed. I then realized that left my things downstairs, so I went to go get them. As I was walking to the living room I noticed the kitchen door was open. I just though Lucy might have left it open when getting a drink or something as she did get up to get one during the movie. I popped my head in just to make sure but ended up noticing that it was very chilly in the kitchen, so I looked towards the back door and noticed it was open. Suddenly a bad feeling rushed over me and I dropped all my things, ran upstairs to Lucy and looked in her bed. Where she was supposed to be lying, there was nothing I ran over to the bed and ripped her bed covers off, still there was nothing. The covers were led there on the floor and left where her pillow was lying, on her bed, was a old teddy bear with a picture of Lucy taped to it, that’s the teddy that went missing a week ago. Instantly I thought this person must have been stalking poor Lucy for a while to have those things in their possession. I began to panic even more now than I was. I ran downstairs and out the front door and a saw a black car reversing and speeding off. I realized I just missed them. My poor Lucy has just been taken. Luckily, I always kept my shoes on until I got dressed in PJs, so I grabbed my keys out my jacket pocket and ran to my car. I revered out the drive and followed the direction that the person went as fast as I could. I don’t know what drove me to do this, but Lucy was one of my favourite people, everyone loved her including me. She basically became my younger sister because of how much time I spent with her, a need to get her back swept over me. I typed 999 in my phone and put it on my car speaker so I could talk and drive at the same time. I explained everything that happed and where I was, I could see the black shiny car but was struggling to catch up as my car was nowhere near as new and fast as theirs. The police said they were on the way to help and that I had to stop at the side of the road and wait for them to deal with it. Suddenly anger rushed over me and I hung up on them after all they had everything they needed to know and also has the license plate to track the car. I put my foot down and started screaming Lucy’s name. I stopped screaming about ten minutes after realizing that no one could hear me. I felt like I was going insane and all I could do was try to keep up with her and try to get her back, that poor little girl doesn’t deserve this. Then, in a moment of genius, a though came into my head, Lucy has her phone on her all the time and I have her number in case she ever wondered off or cases like this ever happened. The person made a swift turn to the left and I just about managed to copy them, it shocked me that they turned so fast. After the turn, I knew there wasn’t going to be another one for a while as I knew these roads very well. So, I rang the number and again put it on the speaker of my car. There was no answer the first few times so panic came up again twice as worse and nearly made me sick, but I decided to hold it down and carry on trying. Then there was a whisper. "Sammy," then it went quiet, "this man has gotten me." Poor Lucy was all I could think, trying to speak to me quietly enough it broke my heart knowing she knew too, she sounded like she’s been crying a lot. He best not have hurt her. I tried to say things to calm her down a little bit before I asked any questions. "Is he going to hurt me Sammy?" again my heart ripped out of my chest hearing those words. "No honey, I won’t let that happen, I’ll get you back I promise." My heart sank to the ground I was trying to think of anything and everything I could do to help her. After a few more seconds an adrenaline rush came over me and I was very focused realizing anything and everything around me, I began to think. "Lu, did he say where you are going?" "No," she whispered with which sounded like a bit of a cry. "It’s okay, I’m right behind you, I’m not letting you go with him, you’ll be okay, just try not to panic too much, I know it’s hard, speak to the person and tell them someone’s on the phone for them." Lucy tried to get out of doing this, she was terrified but eventually did what I asked and then I heard cursing. I heard Lucy say something, must be what I said, then next minuet all I heard was breathing in my ear from the other end of the phone. I don’t know where the confidence came from, must have been because my adorable innocent Lucy. "You are clearly not from here, you're heading right to a dead end, you missed your turn, I’m going to get her back no matter what I have to do so why don’t you just give her back to me and stop all of this, you are sick." Again, all I heard was breathing then just before the phone hung up completely there was some more cursing. It defiantly was a man, sounded quite old as well, maybe a smoker as his voice sounded croaky. I rang the police again and told them where we were, they said they would be there as soon as possible and game me a lecture about hanging up and not doing as I was told. I hung up again. It was almost the end of the road and it was a one-way road. they were doing some roadworks and that’s why its cut off. The guys car started slowing down and so I speed up a little bit, dangerous I know but it was, so I could catch up to them. When it got to the right point I slowed down. While I was slowing down, the kidnapper had been scrambling about got out the car and was about to pull Lucy out to. My heart raced, and I realized this was my only chance to save her now. I managed to quickly park my car before jumping out of it. I started running toward the man and out of nowhere I built up lots of strength and I punched him. It stunned him a bit which is why I think he fell back and hit his head, which gave me enough time to pull Lucy out of the car. As I got her out of the car I told her to run to the car and get in. my hand was in agony now, but I had to ignore the pain for her. I needed to get her to safety. I started to run to the car just behind Lucy, but I got pulled back. Something sharp then pierced my side and I screamed in agony while falling to the floor. Lucy then turned and saw me lying on the floor and I screamed at her to go in the car and lock it. She did as she was told. Tears fell down my eyes at the pain I was in, but I looked up at him anyway not wanting him to see that I was weak. I began to stand up and saw he had a shocked expression on his face. I looked him dead in the eyes and that’s the only features of him I could see. 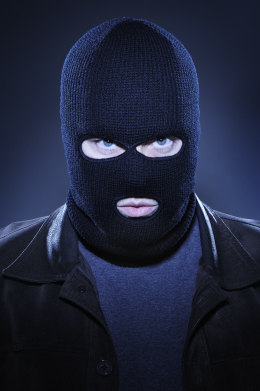 He worse a balaclava that covered the rest of his face. I spat in his face and then he pulled out the silver blade that he stabbed me with. He went to go stab me again but then we both turned towards the sound of the sirens. I dropped to the floor and cried out of happiness that my Lucy is now safe. I didn’t care I was bleeding out, I was relieved that she would return home to life her life with her parents. The man tried to run off, but the police managed to catch him and as for me passed out and they sent me to the hospital. When I finally came to I saw my mum, Lucy and her parents all at the bottom of my bed looking restless and drained. Lucy was the first to notice I was awake, she alerted everyone by shouting my name and running to hug me. My mum shouted out the door for a nurse then came to hug me too. Mr. and Mrs. Johnson then gave me a hug and some flowers after that. Lucy refused to move away from me, so I told them to just leave her sat on my bed next to me. After all I didn’t mind. Mr. and Mrs. Johnson thanked me what seemed like a thousand time and told me they owed me. I told them they didn’t owe me anything as I was just relieved Lucy was safe. I went home a week after and got back to my normal routine. Now all I think about that day is what happened, Lucy was very lucky and so was I. we still see each other almost every day even though I don’t do babysitting anymore I still look after her I they need me to. I will always be there for her as we went through it together. I am Sammy and thank you for listening to my story of a sweet, angelic girl and a monstrous man.